Regular readers of Pavlov Pinball will know that Pat Lawlor’s Twilight Zone and The Addams Family are two of our favourite games of all time. So the announcement in January that Pat is working with JJP on a new game with an original theme as a follow-up to The Hobbit was the cue for doubles all round at Pavlov Towers. Not much is known about the game, but back in August Jersey Jack himself gave Pavlov Pinball a brief update, and it’s a measure if the excitement that this game is generating that this story was Pavlov Pinball’s most read ever. 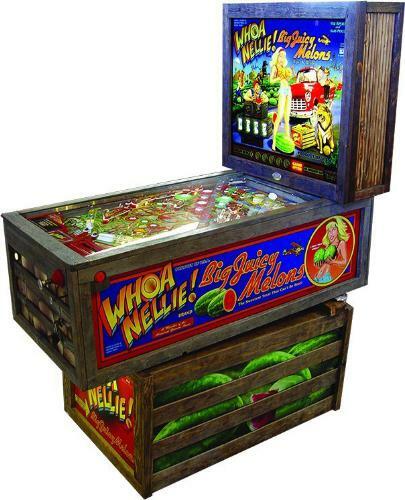 Fast forward to June, and the previously unheard of Vonnie D Pinball announced a kickstarter project to fund a new, unlicensed machine called Pinball Gremlins. The concept of a machine with gremlins that fights against the player is actually pretty good and Pavlov Pinball really liked the ideas that were outlined. That’s more than can be said for the video accompanying the announcement, which was met with – how can we say this nicely – a mixed reception from critics. It’s always great when a team appears from out of the blue with plans for a pinball project, but sadly it was all downhill from there. The kickstarter was… interesting, with the project seemingly reaching completion after some surprising last minute contributors. Indeed. One way or another it seems unlikely that Pinball Gremlins will see the light of day any time soon. It was back in October 2013 at Expo when the this game was announced. Another Expo has come and gone, and MMR is still no-where to be seen. Well not quite: there have been sightings of the odd preproduction model or two, and what we’ve seen looks and feels really really good. And back in September we even got to see pinball legend Roger Sharpe playing one in his home. We also learned that MMR is going to be built at Stern’s factory, and Pavlov Pinball visited the facility in October and saw the line where it is to be built. There was a decaled cabinet and some parts in evidence – but at the time of the visit there was no sign of any actual assembly going on. 2014 was a big year for Stern, topped with The Walking Dead being announced in September. The theme is a bit too gruesome and scary to put one in Pavlov Towers, but having played TWD at Expo it has to be said that we loved it. It’s definitely a good’un. And the company announced at Expo that it’s going to be making Dennis Norman and Greg Freres’ melon-tastic modern-day EM Whoa! Nellie Big Juicy Melons some time in 2015. If the game is as good as the graphics it’s going to be popular. And finally it is also worth mentioning that there was also a machine called Mustang released earlier in the year which is cool if you like that kind of thing. But like wide-mouthed frogs all Pavlov Pinball can say is that you don’t see too many of them around here. Anyone heard of Silver Castle Pinball? Well, never mind that: a bunch of Dutchmen burst on to the pinball scene over the summer with plans to create a physical version of the PC game classic TimeShock! Silver Castle look like a serious bunch, and a whitewood was on display at the Dutch Pinball Open in Drunen a few months ago. This one could actually happen. As could Wrath of Olympus Pinball – WOOLY. Originally a virtual table, WOOLY will be built (by Spooky Pinball, no less) if Riot Pinball – the company behind WOOLY – can get 100 orders by February of next year. Talking of Spooky Pinball, here’s an independent company that is actually shipping product in 2014! And from south west Wisconsin. Pavlov Pinball played America’s Most Haunted at Expo, and was duly impressed. The run is limited to 150 units, so if you want one then you’d better get ’em while they’re hot… and hats off to designer Ben Heck and Charlie Emery, Spooky’s CEO. OK, so Heighway Pinball hasn’t actually shipped its first game, Full Throttle, but the 2014 Expo announcement that the British company has secured the licence for an Alien pinball machine was massive. One thing that made Alien a big deal was that it was being designed by Dennis Nordman, but in December there was no sign of his photo on the Heighway Pinball website. Then Nordman announced that he had quit working with Heighway and was no longer the designer of the machine – and that he couldn’t agree with Heighway’s plans to release the game in April 2015. 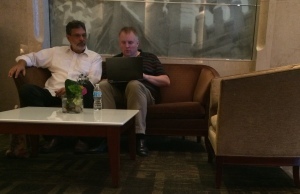 Considering how thick as thieves Heighway and Nordman were at Expo – as this photo Pavlov Pinball snapped in the hotel lobby demonstrates – that was… unexpected. What next? Barry Oursler joining the company? Nordman is involved in Whoa Nellie!, which Stern is producing, so being involved in two projects from two competing manufacturers might have been a problem. In 2013 at Expo Pavlov Pinball had a very nice couple of drinks and a chat about the Bride of Pinball upgrade kit with Dutch Pinball boss Barry and programmer employee Koen. A year later it was all VIP parties, booth babes and The Big Lebowski prototypes for Dutch Pinball. Everything sure had changed in twelve months. And that’s not even mentioning That Presentation at Expo delivered by marketing guy Phil, in which he effed and jeffed (or dropped several F bombs,) slagged off Stern for being a manufacturing company rather than a pinball company, and told the assembled pinball folk that with Dutch Pinball it would be different: there would be no messing customers about, and if they wanted their money back they could have it – without any fees being deducted. Oh the irony of talking about refunds! Things got surreal at the Dutch Pinball Open when Phil suddenly departed, and some weeks later he started making un-asked for refunds to US based customers. This resulted in a huge thread on Pinside, and Roger Sharpe being asked to come in and help with the licencing relationship with Universal. 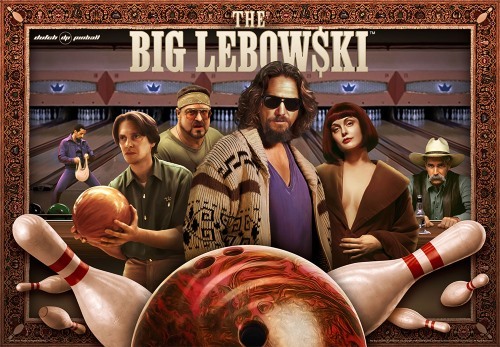 Barry and his Dutch Pinball crew are genuine nice guys and pinball fanatics to boot, so let’s hope things get solved as amicably as possible and TBL comes out in 2015 to critical acclaim. You know an industry is healthy when it has got a vibrant ecosystem of magazines, books, websites and podcasts around it, and in 2014 this ecosystem went from strength to strength. Pinheadz Podcast – The Australia based podcast actually started at the very end of 2013, but in 2014 it made a name for itself as a podcast to watch out for. It only comes out once a month or so but each episode is well worth the wait with thoughtful analysis and interviews and super-high production values. 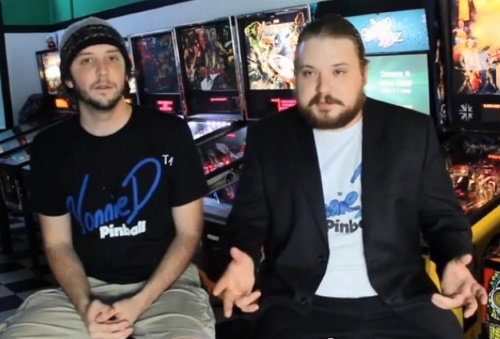 Coast2Coast Pinball podcast – Nate’s podcast is high quality AND there’s quantity to boot – a new episode appears seemingly every 5 minutes or so. In 2014 Coast2Coast went from strength to strength and it is now the go-to podcast for timely commentary and news. We also really really like the Gameroom Junkies Arcade and Pinball Podcast and the Brokentoken podcast – big shout out to you boys! – and 904 Pinball Zine which has some great interviews including a rare one with John Popadiuk. CreditDot Pinball This new pinball blog popped up this spring of 2014, and is consistently a good way to avoid work and read about pinball. A great design and an eclectic mix of pinball stuff. Santiago Ciuffo’s Pinball. Jonathan Joosten, editor of the excellent Pinball Magazine didn’t bring out a new issue of the magazine in 2014, but he did publish this wonderful pinball photography book by Argentinian photographer Santiago Ciuffo. It really is a beauty and a great addition to the pinball book scene. And no media roundup could ever be complete without mentioning Martin Ayub’s Pinball News – always excellent and ever present. 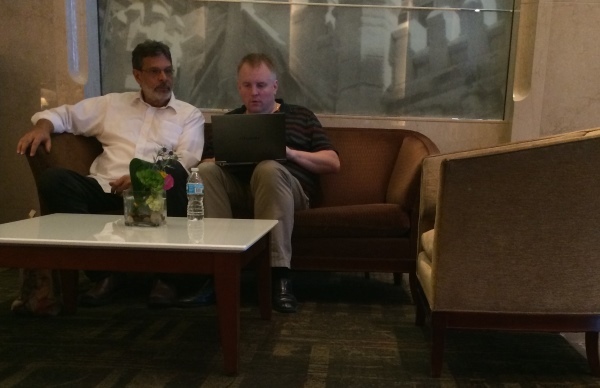 Last but not least, 2014 was the year that Pavlov Pinball was launched upon the unsuspecting pinball community. The idea behind it was to create a place to satisfy a desire to write about pinball, and to offer a place for pinball fans to feed their passion for the silver ball. 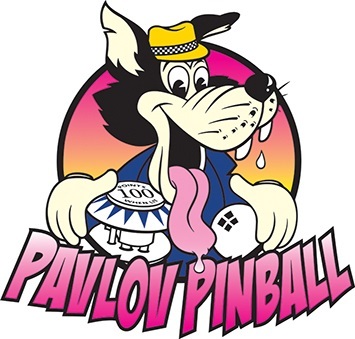 So a big thank you to all the people involved in the industry for taking the time to talk, and a special thanks to the almost 20,000 pinheads around the world who visited Pavlov Pinball in 2014. Happy 2015 to Pavlov Pinball readers everywhere.